Spend the best days of the year on the Klausbauer Farm in Grossarl. 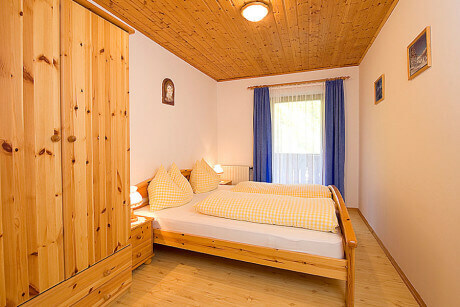 Two spacious, comfortably furnished apartments sleeping 2-6 persons await our guests. You’ll feel right at home here. 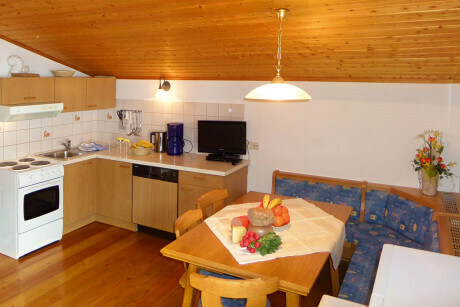 Our apartments in Grossarl are fully-equipped with everything a holiday-maker’s heart desires. 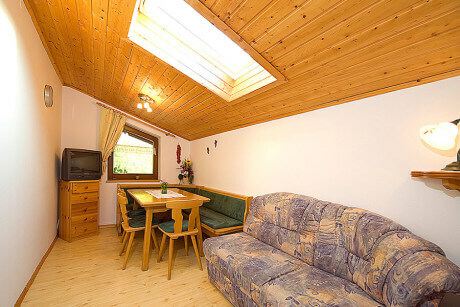 Kitchen with seating area, cosy bedrooms, balcony, allergy-friendly larch wood flooring etc. Savour the rustic, country-style furnishings and the friendly atmosphere. There’s plenty to keep you amused on a farm holiday in Grossarl: the kids just love romping around outdoors, letting off steam in the playground and making friends with the farm animals. 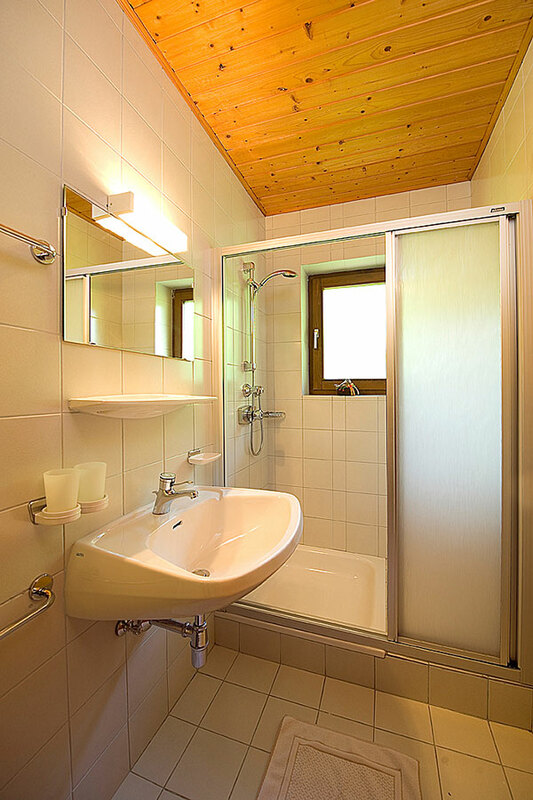 Meanwhile the adults can unwind in the in-house spa area with infra-red sauna and steam shower. Book your fresh breakfast bread and rolls from the bakers’ and they’ll be delivered punctually to your door in the morning. All prices are in Euro, including end of stay cleaning, excluding resort tax. Reductions for children available on request. Errors and omissions excepted. 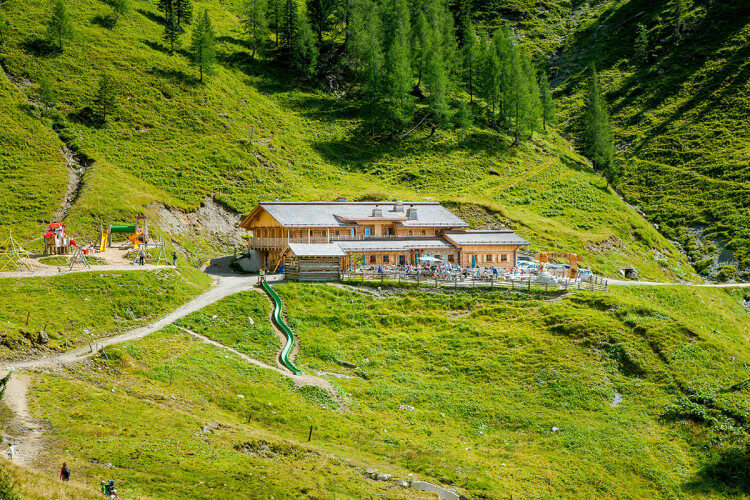 Ensure your summer special offer – when you stay for a minimum of 5 nights, you can enjoy an overnight stay at our own Loosbühelalm alpine hut. Spend the most special time of year here with us – skiing, relaxing, escaping your everyday life and maybe pay a visit to the Grossarl Valley Mountain Advent… Experience Advent in a traditional way. It’s just beautiful here on the Klausbauer Farm in January: Whizz down the deep-snowy slopes, relax in our spa area and in our apartments, savour the wide variety of activities on offer in the Grossarl Valley. Savour the March sunshine, fun on the Grossarl slopes in the Ski amadé and round off the day in our in-house spa area… surrounded by picturesque mountain scenery.